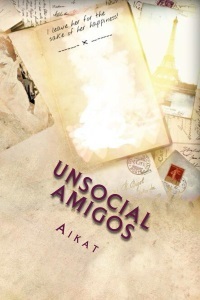 We interviewed talented author, Kajol Aikat of Hazaribagh, who told us about his debut novel he released last year entitled Unsocial Amigos, and about his most recent work, a story entitled Life isn’t a Fairytale that has been published in an anthology called The Unbreakable You. Read on to find out what the man had to say. Welcome to e-Books India, Kajol! It’s great to have you join us for this interview. Please tell us about you. Where are you from, what work do you do, and how did you become a writer? My name is Kajol Aikat, though I prefer using Aikat as my pen name. I’m twenty at years old. 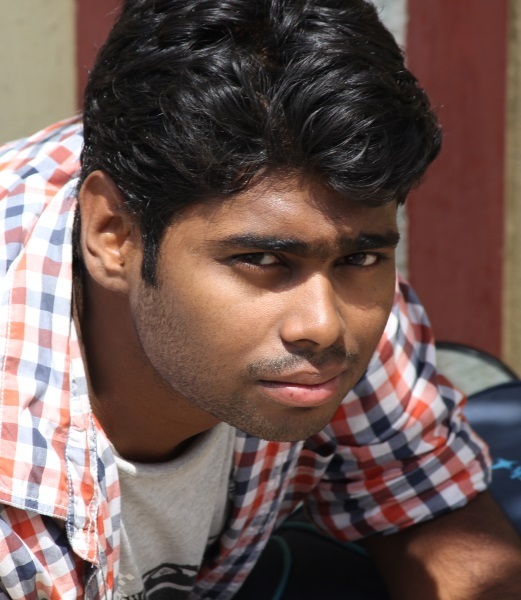 My hometown is Hazaribagh, Jharkhand, and at present, I am doing MBA from Birla Institute of Technology, Mesra, Ranchi. Most of my interests are related to art and literature. I love sketching and writing. I enjoy photography, watching (good) movies, and reading (all sorts of) books. Also, I am a huge comic book fan. Becoming a writer was a process. I used to write short stories and poems. But when I decided to write a novel and shared the idea, many people, especially Mrs. Sampa Dutta, my high school English mentor, motivated me further to work on the script. Your first book was published last year and is entitled Unsocial Amigos. Can you please tell us what this story is about? What inspired you to write it? Unsocial Amigos is a story about two teenagers Raj and Puja, who go in a live-in relationship and face social discriminations. The story describes how this relation changes their lives forever. The idea was to weave a love story while giving a strong message. I have firmly believed that there are conservative things like hypocrisy and moral police prevailing in our society. And, I feel bad about it. Making irrelevant judgements is so common nowadays. So, one should strive to put things that are happening, as they are, in front of people. Since writing and reading were my childhood interests; therefore, after being determined to take writing as a career, I decided to write a novel on such a theme. This year has seen the publication of an anthology called The Unbreakable You and you’re a contributing author to it. Can you please tell us a bit about the story you’ve written for this anthology? My story in The Unbreakable You is called Life isn’t a Fairytale. This story has instances from my personal life. It is about a boy who is born with a neural disease called epilepsy, which we commonly call Mirgi in Hindi. As neural patients are often generalized as psychos (which is often wrong) the boy faces taunts and bullying in his school. Things get ugly eventually and the boy develops an inferiority complex inside him. The story describes how he realizes his worth and fights back to make himself unbreakable. I believe that giving up is never an option and there’s always a way out. All that is required is to have or develop the willpower to keep trying, no matter what comes through. What other books are you currently working? Alongside a few short stories, currently, I am working on a romance fiction novel. It is still in the initial drafting phase so there isn’t much details to be disclosed, as of now. Though, I hope the drafting of the same to be completed by late this year. From your experiences of writing and publishing books, could you please share 3 pieces of advice with budding authors who want to do the same? 1. Read as much as possible. 3. Never ever give up on it. People can add me on Facebook, or follow over at Instagram and Twitter. Or they can just write to me over at my Amazon author page.